Apple’s closed-source iOS system, coupled with its decision to remove the headphone jack from the iPhone 7 in 2016 has made it challenging to play hi-res audio files on the iPhone. While one could overcome the challenge of Apple’s own iTunes and Apple Music software not having the ability to playback hi-res audio files with iOS apps such as the Onkyo HF Player, Sony | Music Center (SongPal) and FiiO Music. The introduction of the Lightning-to-3.5mm adapter that comes bundled with new iPhones adds on to the challenge, it bypasses the iPhone’s internal digital-to-analogue converter (DAC) entirely and limits the output to 48kHz, even though the music app is playing 192kHz. 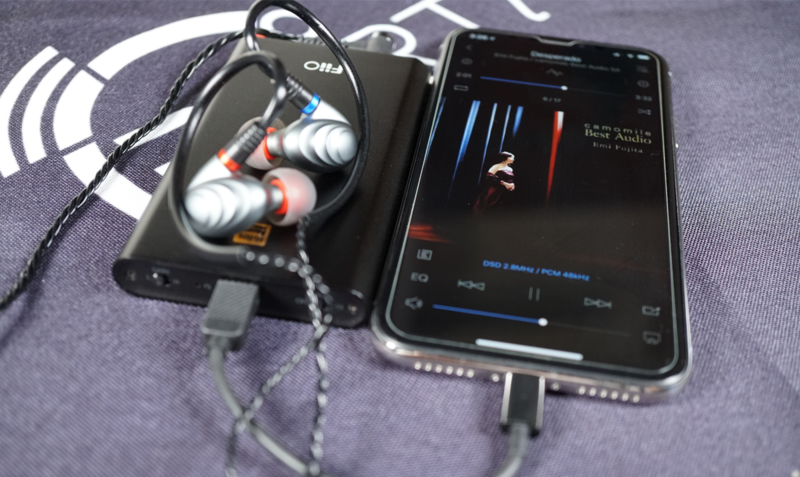 Therefore, in order to enjoy hi-res audio files on the iOS since the iPhone 7, one has to connect the iOS device to an external DAC, the only way one could hear the full original resolution of hi-res audio files through the 3.5mm jack less iPhones. In the first of a three-part review series on entry-level portable DAC/Amplifier (DAC/Amp), we will be looking at FiiO’s Q1 Mark 2. If one has been in the Porta-Fi world long enough, one would remember the FiiO E3, the company’s 1st portable headphone amplifier which was released back in 2008. A product that arguably laid the foundations stones of FiiO today. FiiO then got into the DAC/Amp product offering in 2010 with the release of the FiiO E7 featuring TI’s TPA6130 amplifier chip and Wolfson’s WM8740 DAC with USB decoding enabled by TI’s PCM2706 USB receiver. Incidentally, the E7 was also my first portable DAC/Amp. The Q1 Mark 2 is FiiO’s latest entry-level offering which like its predecessor, the FiiO Q1 inherited the DNA of the FiiO E18, the company’s first DAC/Amp designed for smartphones with features which the company deemed to be essential for the E18 as a companion to the smartphone most notably the built-in battery; so that the DAC/Amp does not consume the battery from the smartphone. 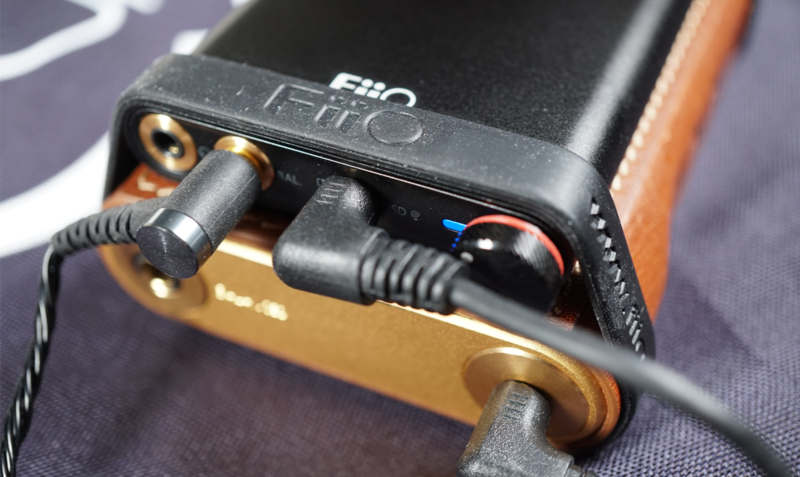 The FiiO Q1 Mark 2 also fulfilled the company’s long-standing ambition of having its portable DAC/Amp MFi certified by Apple. Being MFi certified, the Q1 Mark 2 is an iOS-centric device with a short micro-USB to lightning cable for connection with iOS devices. Other cables in the package includes; a USB Type-A to micro-USB cable for charging and PC connectivity as well as a short right-angled 3.5mm interconnect to use with the 3.5mm multi-functional connector on the Q1 Mark 2, allowing the DAC/Amp to act as a dedicated headphone amplifier when used as line-in or a dedicated DAC when used as line-out. The Q1 Mark 2 weighs in at about 101g, similar in weight as its predecessor. With dimensions measuring 99mm (L) x 59mm (W) x 12.5mm (H) compared to its predecessor which measures at 97mm(L) x 56mm (W) x 13.1mm (H), the company has redesigned the Q1. The use of aluminium casing is probably the only similarity you will find between the two. Do note though the front and rear panels are made of plastic. The design of the Q1 Mark 2 is simplicity at its best; anodized sandblasted solid matte black finish to the outer shell, rounded edges, slim profile and a stylish volume knob completes a device which not look out of place beside any modern device. The form factor and anodized sandblasted finish also cater for better handling and stacking, while FiiO has also claimed the aluminium casing protects the circuitry from EMI generated by smartphones which can interfere with audio quality when in use. The volume knob which also doubles up as a power switch is moved to the right of the front panel, with the left featuring the single-ended 3.5mm and the balanced 2.5mm headphone outputs followed by the 3.5mm multi-functional connector. There are also 2 LED indicators on the front panel; a longish blue one to the left of the volume knob denoting power-on status and around green one further left to light up if DSD decoding is active. When stacking the Q1 Mark 2 on a smartphone or using it on a flat surface, one must remember to place the silicone pad in between the surfaces to allow a clearance, failure to do so will ensure contact between the volume knob and the surface which may result not only in scratching the surface or the volume knob but also the inability to adjust the knob. I would have preferred the volume knob to be smaller by a millimetre or two in diameter. The rear panel features two switches; a gain switch on the left which allows for minor adjustments depending on the sensitivity of the headphones as well as a bass switch on the right with the micro-USB port sitting in the middle between the two. The Q1 Mark 2 has replaced the TI PCM5102 DAC chip and Maxim MAX97220 amplifier chip previously found in its predecessor and now utilises the AK4452 DAC chip and an OPA926 amplifier chip in its circuitry. The Q1 Mark 2 also included dual crystal oscillators in its circuitry to reduce jitter. The choice of the AK4452 DAC chip allowed the Q1 Mark 2 to decode audio formats of up to 384 kHz/32-bit resolution PCM, a significant increase from the 96 kHz/24-bit offered by Q1 as well as native DSD decoding of up to DSD256 which was not previously possible. The ability to decode at high resolution brings great value to a product like the Q1 Mark 2. Using the OPA926 amplifier chip previously tailored for the X7 Mark II, the Q1 Mark 2 comes with both a single-ended 3.5mm and a balanced 2.5mm headphone output. Rated at 75mW @ 32Ω and 112mW @ 16Ω on the single-ended as well as 220mW @ 32Ω and 240mW @ 16Ω load on the balanced. While the single-ended output is lower than the 190mW @ 32Ω rated on the Q1, it should be sufficient to power efficient earphones. For earphones which are either higher impedance and/or lower sensitivity, I would suggest is to use the balanced 2.5mm output. Do note that this is a portable device and is not designed to power headphones like the SUSVARA which are extremely inefficient. 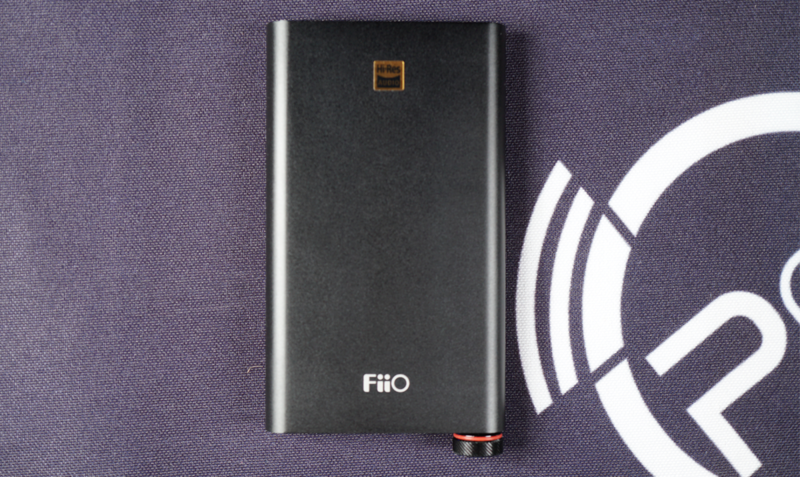 Earlier, I have mentioned that FiiO is of the opinion that a portable DAC/Amp, particularly when it is a companion to the smartphone, should not consume the battery from the smartphone. Following the philosophy, the Q1 Mark 2 features a battery with the capacity of 1,800 mAh, an increase from the 1,400mAh found in the Q1. This, however, does not translate to a longer playback time, in fact, the playback time is now 10 hours compared to the 30 hours clocked by the Q1. The compromise of a lower playback time for high-resolution decoding which includes DSD coupled with balanced output is a fair one, after all, 10 hours of playback time is still decent for a portable DAC/Amp. I also took the opportunity to allow the Q1 Mark 2 run flat before starting a new charging cycle which completed in 3 hours and 51 minutes. In its class, the Q1 Mark 2 is one of the better sounding DAC/Amp in the market currently. While it is not the best nor is it a reference level DAC/Amp, the Q1 Mark 2 is extremely musical with a flat and neutral sound signature which is coherent and well balanced across the frequency range. The Q1 Mark 2 exhibits a low-end that is full-bodied with reasonable sub-bass extensions, it is rather laid-back at times, neither rumbling nor punchy but one could still enjoy the tightness and linearity with a decent amount of decay and reasonable depth for its class. One would have an impression that the low-end is controlled in its tuning particularly in the mid-bass, allowing the midrange and the treble to come through nicely. This control, however, breaks loose when the bass switch is toggled, the Q1 Mark 2’s qualitative bass response suddenly became quantitative, and in the process, translate what is “tight and balanced” to “wide and boomy”. Switching on the bass brings one away from audio fidelity and unless you have a special preference, I would recommend keeping the bass switch off at all times. The midrange is a bit forward and exhibits transparency with good separation across the spectrum. Similar to the low-end, the midrange is decent but not amazing, the vocals are natural with good resolution. One would be unrealistic to expect a midrange that is lush with high-resolution background details similar to that of a reference or even a mid-tier DAC/Amp. Quantitatively, the treble is not lacking, the transition between the upper-midrange to the lower-treble is coherent. Details at lower-treble are crisp and robust while the upper-treble is lacking in sparkle and treble extensions. Similar to the low-end, the treble of the Q1 Mark 2 is more laid-back and controlled. The balance achieved by a laid-back low-end and treble has allowed for a forward vocal and instruments projection, creating a spacious soundstage that is wide with decent depth. Sound separation is above average due to its linearity at the low-end though lacking in airiness and dynamism. The FiiO Q1 Mark 2 is a worthy successor to the FiiO Q1, it has bettered its predecessor in almost every single possible way! At USD 99, the Q1 Mark 2 is probably the entry-level DAC/Amp for many budget audiophiles, one would be hard-pressed to find something that offers high-resolution decoding which includes native DSD coupled with a balanced output at the same price point and performance. This review unit is provided by FiiO Electronics Technology Co., Ltd.